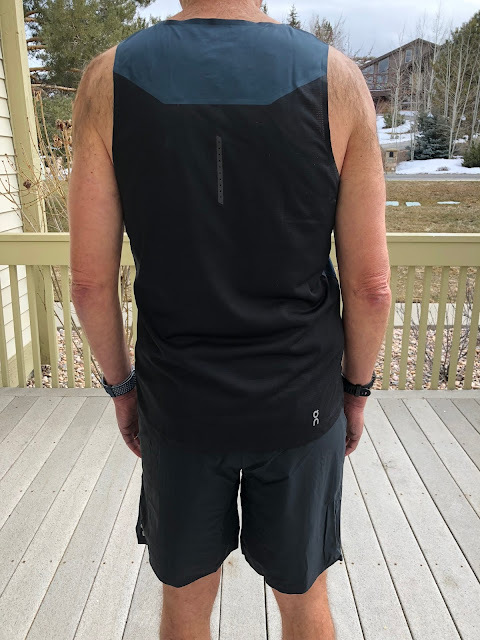 Road Trail Run: ON Running Men's Apparel Review: Top Notch, Swiss Engineered Run Threads! ON Running Men's Apparel Review: Top Notch, Swiss Engineered Run Threads! ON is well known for its Swiss Engineered running shoes. Of particular note are the shoes always spectacular uppers. So it is no surprise that ON has incredible run clothing. 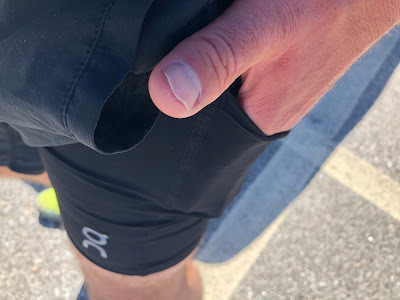 ON Running Pants (RTR review) have been a winter goto for the last two years for their light weight, wind resistance, and wide conditions and temperature range. 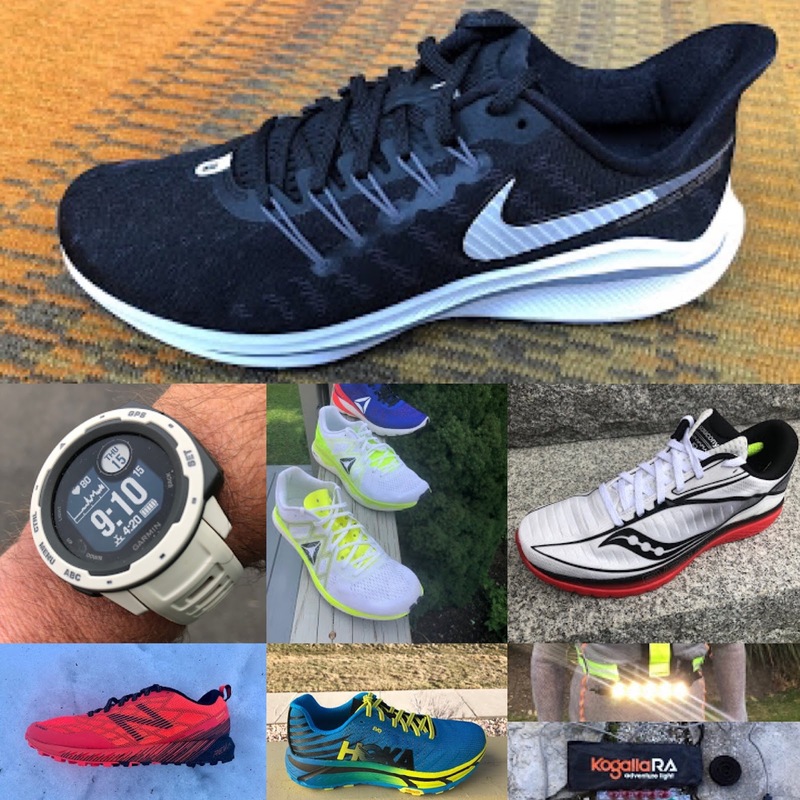 On Running apparel is of the highest quality and comfort, is beautifully designed with excellent materials and features specific to running. We think is worth its premium pricing. We take a look at their 2018 men's apparel line with a review of the women's offerings also coming soon to RoadTrailRun. 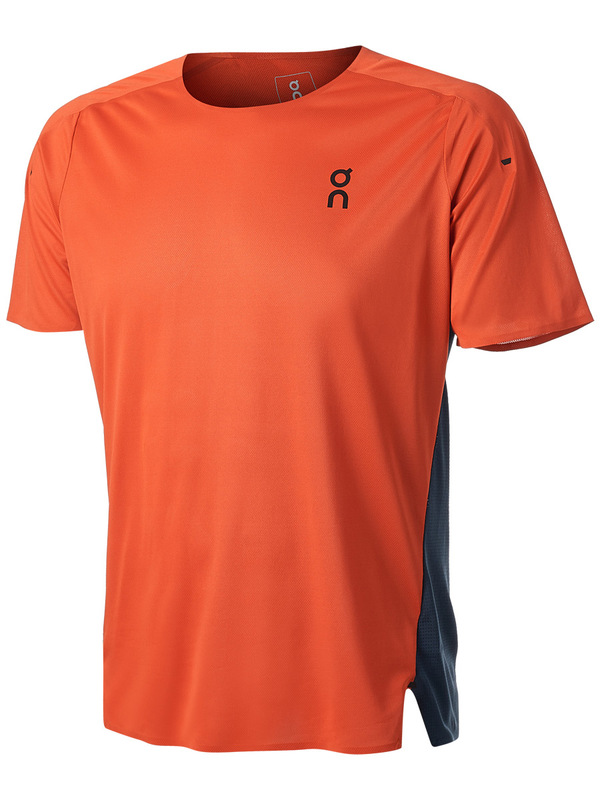 Jeff: The ON Performance T is super light and very well ventilated. Initially I was a bit surprised by the very unique feel, impossibly thin and making me wonder if it were made with recycled plastic. Everything about this shirt is minimal, with a nearly non existent collar, arm hems and hemline, welded seams for comfort and a mesh back panel and laser perforations for ventilation. Comfort is as good or better than any shirt I have ever worn, venting in unrivaled, it is fast drying (almost instant) and to top it all off, the ON Performance T, in my opinion, is about the most stylish shirt in my overflowing drawer. Weight is nearly nothing and when running, it never crosses my mind that I am even wearing a shirt. Jeff: Extremely light, minimal/breathable technical stretch polyamide and elastane blend materials with welded seams and a soft inner liner. The waistband is wide and lays flat, with an easy to access tie-able cinch lace around the waist. The Lightweight Shorts are another piece of clothing that I don't even think about when running, feeling well ventilated and nearly non existent, allowing freedom of movement, great venting and quick drying. The length is perfect for me, draping about mid thigh. There is one rear pocket, only big enough for a gel or two or car keys and if I could come up with one are for improvement, a pocket to fit an average size smartphone in case would be a welcome touch. Also one of the best looking shorts I own. 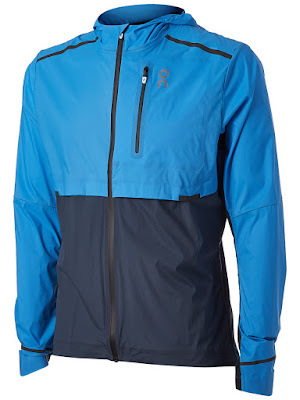 Incredibly lightweight, this jacket fits and feels more like a windshirt than a jacket. The DWR material is adequate for intermittent weather or protection in moderate conditions. Venting and breathability are superb do to the vents around the chest and back, while still allowing for good wind protection in windy conditions. Fit is a great balance between being athletic (not baggy), while allowing for good freedom of movement and the ability to layer underneath. The cuffs are comfortable, well crafted and have a small elastic section on the underside to more easily stretch over large GPS watches (easily stretches over and never conflicts with my Garmin Fenix 5x). The hood fits well and securely cinches in place with a cinch cord even in windy conditions and has a semi rigid molded visor for added protection, as well as an inner hem to help keep the hood in place over your forehead. There is one chest pocket that securely holds a phone or other small essentials, as well as doubles as a stuff sack complete with strap for holding in hand while stuffed. The ON Weather Jacket has become a staple in my running vest for those runs in the foothills of Boulder, where hard to predict, typical Spring weather often means that it could be windy, rainy, snowy, cold, warm, sunny, cloudy and back again all in the span of an hour. Sam: Don't be fooled by the casual beach lifestyle look. 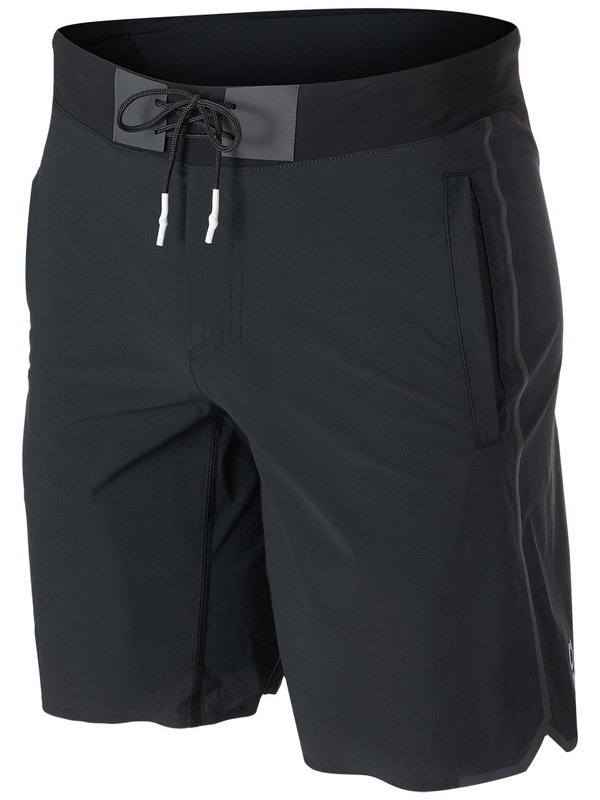 The Hybrid is a highly functional run short. 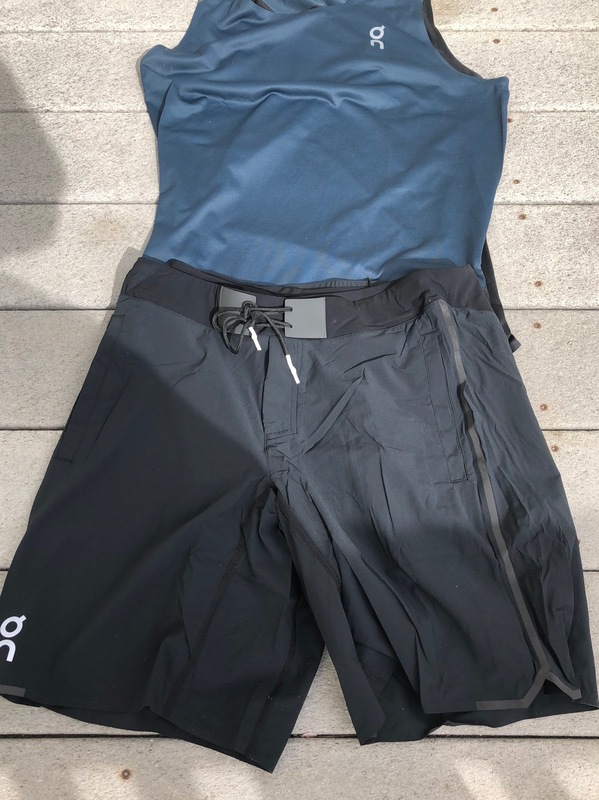 By making the provided inner lightly compressive liner with its two side of thigh pockets removable via two buttons, you can mix and match other kinds of run underwear or compression shorts. As ON says on the hang tag go for a post run swim in the modest enough inner short which can be run solo as a short tight and then carry on with the rest of your day and activities with the outer shell. 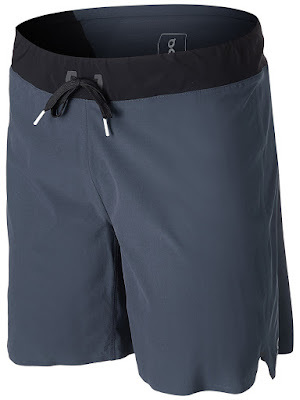 The outer shell short is very soft and light but has enough length and includes handy features such as drop in pockets, the outer drawstring, and fake half fly to go anywhere other more casual shorts can. It dries very quickly. The inner short tight is lightly compressive, fairly substantial, chafe free so far and has two pockets on the outside of the thighs. The larger one can swallow and totally secure any size phone. The other pocket is good for gels and small items. 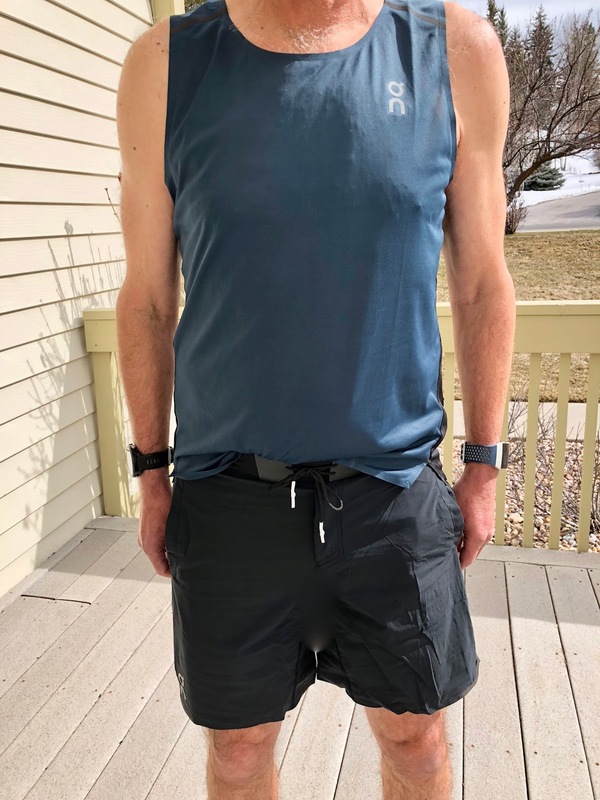 The ON tank with its subtle conservative colors in my sample, maybe a bit on the dark side for sunny days coordinates well with the shorts. The tank looks like it is a solid fabric but is actually very fine mesh in two weights with the black back ever so slightly more open. It is very soft and light with adequate coverage and has reflective highlights. The fit is true to size and relaxed, neither to long and baggy or overly fitted and snug, so it feels incredibly comfortable as the heat and sweat builds up, sitting lightly and without sticking to the skin. Stay tuned for our full review of the entire women's ON Running Apparel line. The Hybrid Short was a personal purchase. The other pieces were provided at no cost. The opinions herein are entirely the authors'. I like the hybrid shorts. They do look like they could be worn for the beach or for sports. The t-shirt also looks like something I would invest in. Ventilation is top on my list when choosing clothes for outdoor activities; there is nothing worse than sweating constantly and not being able to cool off. The venting/breathability of the shirt is the best out there and dries nearly instantaneously. In the hot sun, I typically go for white shirts, but even in blue/dark grey, the ON shirt is as cool or cooler than my best white shirts. 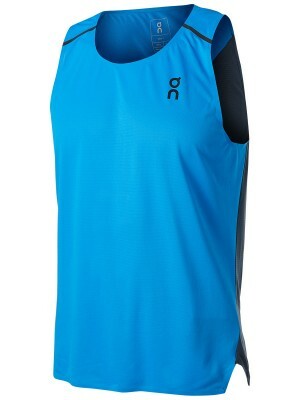 Wow, I have never seen an $80 running shirt. I live in Arizona, and I would have a hard time justifying that. It seems to me when running, anything you wear would be about the same. 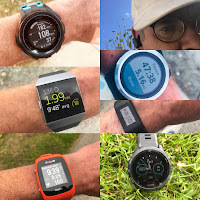 Nice Blog and i also need to buy one as I started workout from last month. but do you have any about voltas inverter ac review?